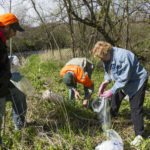 Free UW campus parking for this popular event. Time: Doors open at 5:00 p.m., Films at 7:00 p.m. Description: Looking for a fun event when cabin fever has set in? 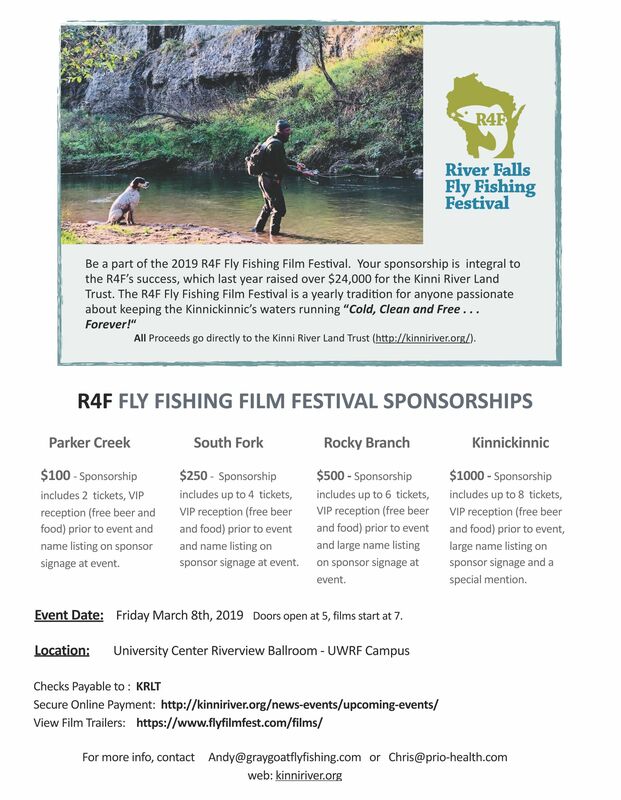 The R4F River Falls Fly Fishing Film Festival is a sure way to liven up an otherwise cold, dreary evening! With great films, fly tying demos, raffles, auction items and plenty of refreshments, it will be the perfect start to your weekend! An added bonus: all proceeds go to the KRLT. Last year, over $24,000 was generated for the KRLT! 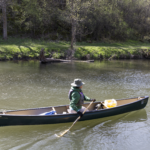 Sponsorships: Be a special supporter of a special river and sponsor this event. Not only will you get free tickets, but you will also have access to a VIP Reception from 5pm – 7pm that includes free food and beer! To become a sponsor, click here. Tickets: Individual tickets are $15. 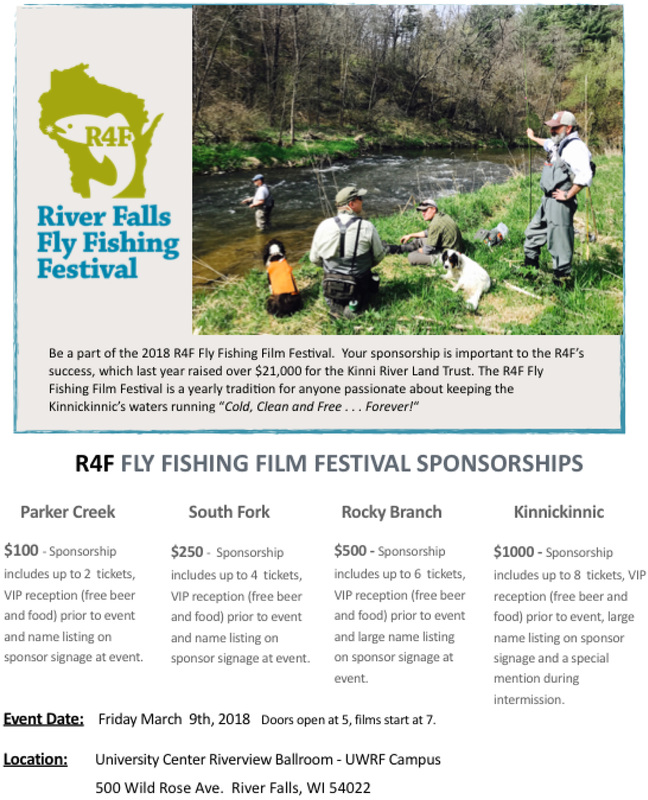 Tickets (without sponsorship) are available for purchase at Lund’s Fly Shop in River Falls and online (plus a $2/ticket processing fee). 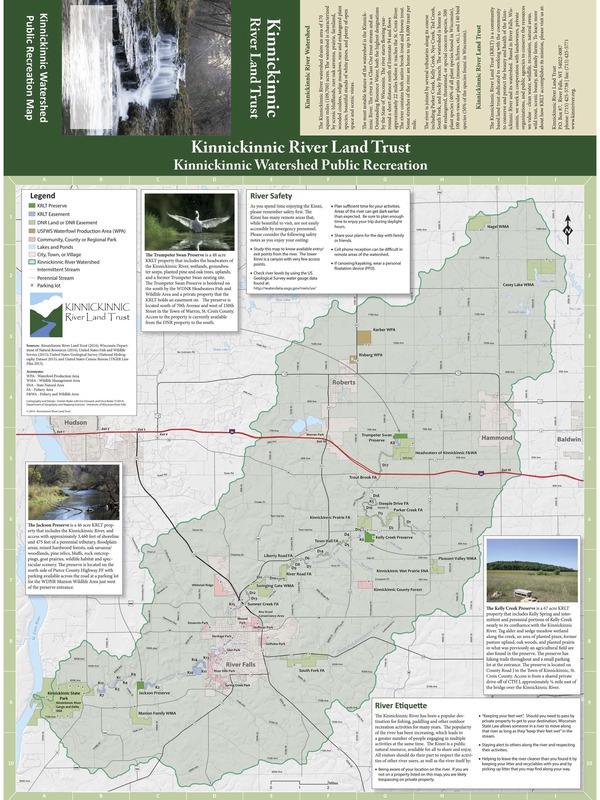 All Proceeds go to the Kinnickinnic River Land Trust.